Neowin: Windows 8 UX designer says Metro is "the antithesis of a power user"
Since the first beta leak.. well.. since the first pre-beta image leak, Windows 8 has had a mixed reaction. Some believe that the new Metro or Modern interface has seriously affected their workflow, whereas some accepted the Start Screen as a welcomed addition and replacement to the cluttered almost 20 year old Start Menu. Whatever your view is on the new interface, Jacob Miller, a UX designer for Microsoft that worked on Windows 8, has shared some personal views and responses to criticisms on the /r/technology subreddit under the username "pwnies." "I want to talk about why we chose Metro as the default instead of the desktop, and why this is good in the long run - especially for power users. ...but not in the way you might think. Content creators were explained to be power users: they have multiple windows open across multiple monitors, they sometimes even have virtual machines that also have their own nested levels of complexity. Content consumers were explained to be casual users who just use basic social media platforms, view photos, and so on. They were described as the computer illiterate younger siblings, the older grandparents, or the mother "who just wants to look up apple pie recipes." 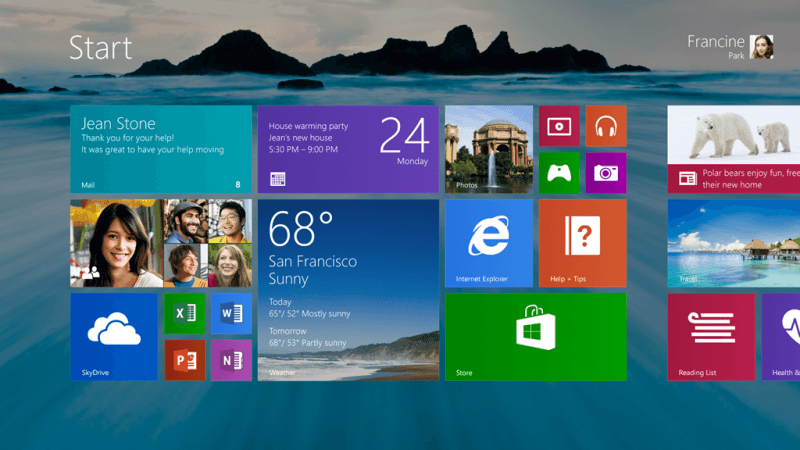 Windows 8 was designed for the latter group: the content consumers. This is also where Metro stems from: it is a platform that's "simple, clear, and does one thing (and only one thing) relatively easily." Miller described Metro as the antithesis of a power user.